Residents of California's San Fernando Valley are under attack by flying saucers from outer space. The aliens, led by Eros (Dudley Manlove) and his assistant, Tanna (Joanna Lee), intend to conquer the planet by resurrecting corpses in a Hollywood cemetery. The living dead -- a cape-wearing ghoul (Bela Lugosi), a vampire (Vampira) and a slow-footed cop (Tor Johnson) who was killed for his nosiness -- stalk curious humans who wander into the cemetery looking for evidence of the UFOs. The Pegasus The Moonlander Spacecraft from the Sci-Fi range accurately recreates the Vernher Von Braun designed spacecraft. This model requires paint and glue to complete. Includes parts to build Crew or Cargo Transport versions. Model Kit ready for your assembly and creative touch! Display Model Picture Curtosy of Mat Irvine. 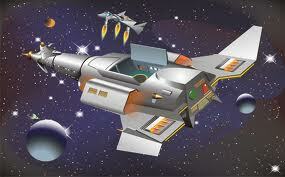 Here is a 1/144 scale model kit of The Rocketship X-M from the 1950 film. Made of injected plastic parts. Comes with full color box and instructions. Display Model Image: curtosy of Mat Invine. Model Images Curtosy of Mat Irvine. 1/72 scale plastic model kit. Assembly required. Saucer measures 7 inches across when complete. Can be displayed with landing gear up or down. Cockpit cover can be removed to display the detailed interior with figures. Comes with detailed instructions and a color reproduction of the original Sell-Sheet used by the Aurora Plastics Corp when the kit was originally released. 31 parts molded in silver and clear. Skill level 2 for ages 12 and up. Comes with detailed instructions and a color reproduction of the original sell sheet used by the Aurora Plastics Corp when the kit was originally released. 31 parts molded in silver and clear. Snap fit assembly. No glue required for assembly. ​Special Pre-Order Price £43.95 Saving £6.00! Work began on this spherical aircraft in 1934, with airworthy prototypes of the Haunebu II capable of speeds of up to 6000 km/h said to have first flown in mid-1943, but testing was cut short as the tide of war turned against Germany and they mysteriously disappeared as the war came to an end, supposedly captured for detailed investigation by advancing US and Russian forces. Revell’s detailed model features fine surface detail, interior with instrument panels, seats & Vril anti-gravity drive, six heavy cannons in twin-revolving mounts and three-leg undercarriage (deployed or retracted). Flying Saucers! UFO's! Strange Lights in the Sky! What are they - Swamp Gas? Drifting Balloons? Comets? David Vincent knows. They are the gleaming ships of "The Invaders", alien beings from a dying planet who have come to Earth to make it their world! "The Invaders" are here and they have taken human form. David Vincent knows. He has seen them. Do you believe him? Do you dare not to? The Flying Saucer is in silver and brown plastic. 1/72nd Scale. 7" Diameter, 4" High, complete with base and film history. Some creasing to top of box and light edge scuffing - Parts loose in box but complete! This 5 inch diameter model kit features a poster-like backdrop for display. Comes in 2 pieces for the Saucer plus 4 pieces for the stand. Also supplied with an LED blinking light for night-time illumination. 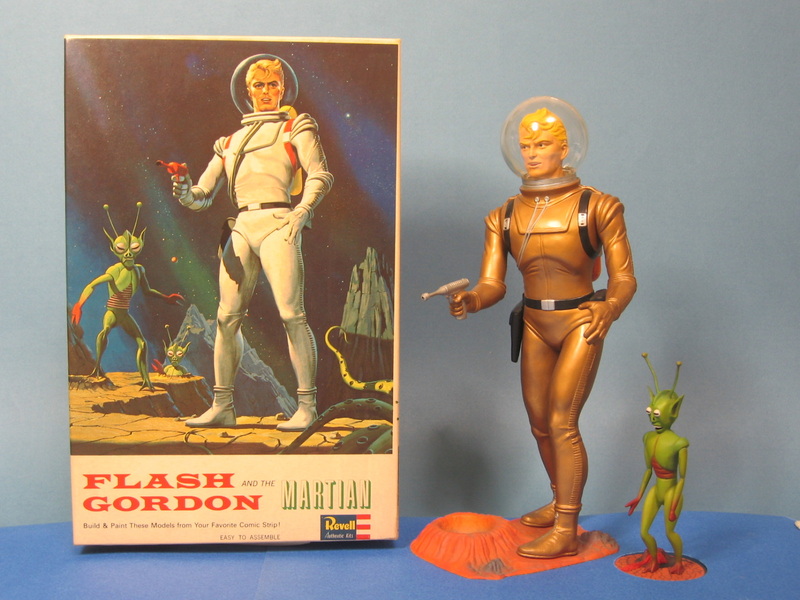 This model comes with a beautifully designed display stand which will fit all of the saucers in the series, plus it can support many other larger flying saucer model kits currently available. Based on the world famous Photo by Billy Meier. Coming to you direct from 1950! This 5 inch diameter model kit features a poster-like backdrop for display. Comes in 9 pieces moulded in yellow plastic with clear parts for windshield, it also comes with an LED blinking light for night-time illumination. This model comes with a beautifully designed display stand which will fit all of the saucers in the series, plus it can support many other larger flying saucer model kits currently available. Loosely based on the Comic Book originally released in 1950. Features easy Twist-Tite and glue assembly. From Atlantis comes the Monument Valley UFO, Clear Edition 5-Inch Model Kit with Light up features a photo backdrop of Monument Valley. 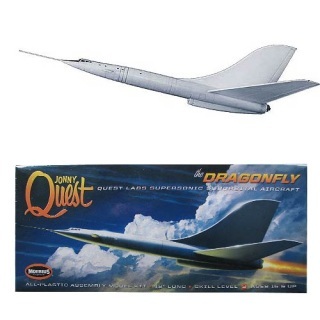 Moulded in crystal clear plastic and including an LED light kit, this model can be built in flight or on the ground. Includes a nice Interior for detailing, a photo diorama backdrop and stand for display. 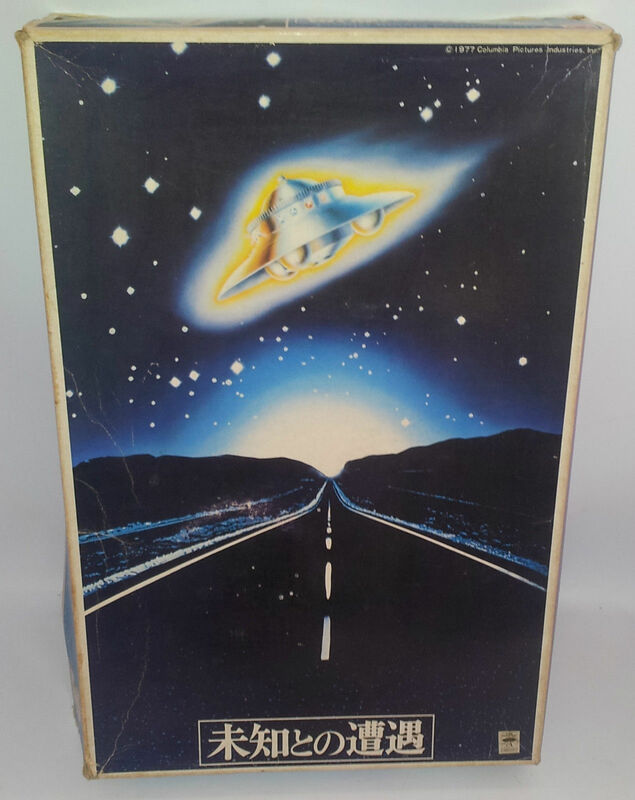 From Atlantis comes the Monument Valley UFO, Glow in the Dark Edition 5-Inch Model Kit with Light up features a photo backdrop of Monument Valley. 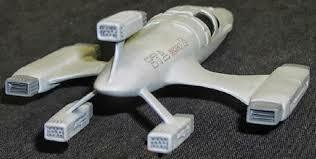 Moulded in Glow in the Dark clear plastic with landing gear, interior cabin, and blinking LED light. Includes a nice Interior for detailing, a photo diorama backdrop and stand for display. Includes a photo diorama backdrop and stand for display. Features easy Twist-Tite snap-together assembly. This model comes moulded in 2 parts, the top and bottom of the craft and also has 3 separate pieces for the landing gear. Also comes with small display stand. Each side of the Triangular Craft measures 5 inches. Now moulded in silver for easy display. Bandai Adamski UFO Movie Close Encounters of the Third Kind. Close Encounters of the Third Kind ADAMSKI UFO NON SCALE ( 19cm / 7.48" ) PLASTIC MODEL KIT FROM BANDAI , JAPAN Released in 1977. MOTORIZED /FA-130 Motor & lights Included . UFO sits on spinning pole with flashing lights. 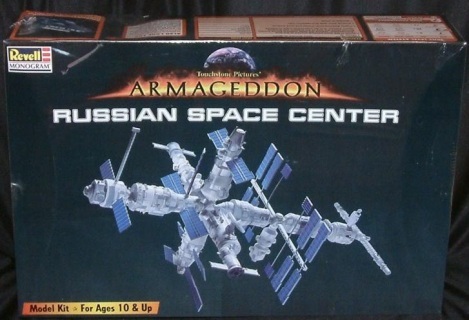 Very Rare - Box has seen better days but Model Kit is complete with Instructions. 1:500th scale. IP. 13" Long. 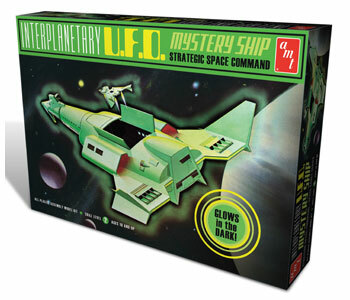 Reissue of AMT's Classic Kit of the Strategic Space Command Interplanetry UFO Mystery Ship in Limited edition Glow in the dark plastic! Limited Reissue of AMT's Lief Ericson's Galactic Cruiser. IP. 13" Long. Includes the Missing Red plastic Parts and comes with Opening Shuttle Bay and Shuttle and Includes LED Light System. 1:72nd scale. GRP. 15 piece model of the BTA Fighter as seen in the movie 'Enemy Mine' which is 6.5" long when built and includes decals. 1:144th scale. IP. essentially the I.S.S. with extra Sprues. From the movie "Armageddon". 1998. 1:100th scale. GRP. 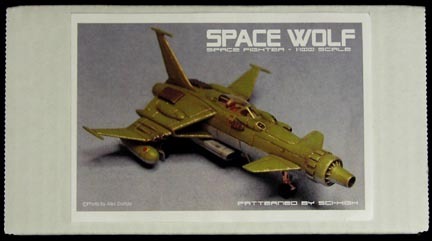 Twenty Three piece resin kit with a Vac-formed canopy of the single seat, high speed fighter SW190 Spacewolf carried by the Arcadia in the tv series/movies of Spaceship Yamato/Captain Harlock. Measures 3.75" long with a 3.5" wingspan with decals.